After reading this post, make sure you check out Part 2 of the best co-op games of the year 2018! 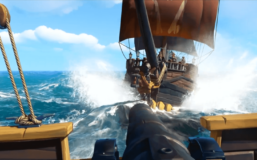 My next post focuses on Sea of Thieves! Yarr! This was a good year for games. We’ve had plenty of great new releases and decent sequels, great events, big tournament prizes and awesome streaming, video and social media content. The time has now come to recap some of the Best co-op games of 2018 and unveil the Most anticipated games of 2019! This is also the best time to enjoy great games at a discounted price! Most companies have released their brand new games prior to the holiday season. This in turn made them drop their prices for previous releases and their competitor’s as well. This is exactly what brought me to Warhammer: Vermintide 2. Prior to release (in March 2018) I told my friends that Vermintide 2 was going to be my next purchase. I’ve been trying to save some bucks as I’m looking forward to move to a new home. 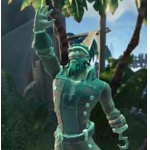 I had also just bought Sea of Thieves. So I decided that I wasn’t going to spend any more money at that time. Instead I added Vermintide 2 to my wishlist and left it there to rot slightly like a good cheese. The truth is, I kind of forgot I had it there. Meanwhile, other games showed up. I have to admit that I invested quite some time in playing the great new update for Gwent: The Witcher Card Game (AKA awesome card game!) and Gwent: Thronebreaker. Two great releases for 2018 as well. …And I got a Steam giftcard for Christmas from my girlfriend! She totally gets me by the way! Instead of spending the whole giftcard buying Battlefield V to play alone, I decided to do something different this time around since my Battlefield needs were still very much satisfied with Battlefield 1. I went on to search for a co-op game that I could gift and play with my friends. 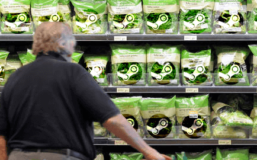 I checked my steam homepage – which, nowadays, is actually quite lame. There I found my lost promised love, Warhammer: Vermintide 2 with a 60% discount for just 11€! Now, this game isn’t as expensive as other AAA games because… well… it really isn’t a very deep and complex game that would deserve “full price” status. I had previously played Warhammer: Vermintide “1”, so I kind of knew what to expect. 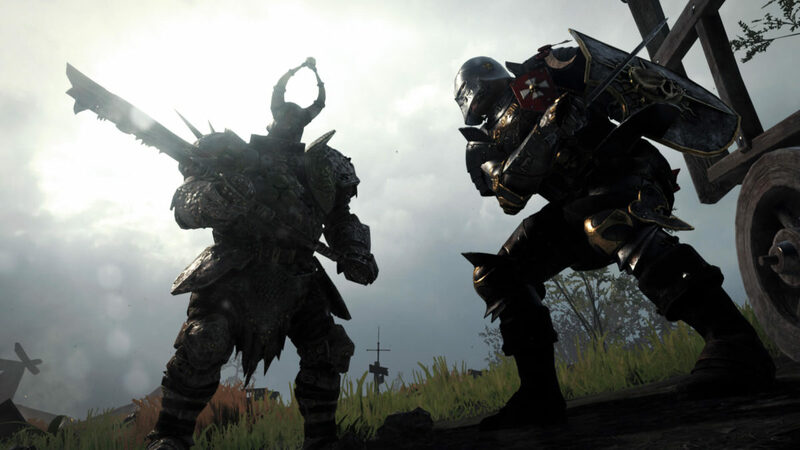 Warhammer: Vermintide 2 is a rather simple game of head smashing and limb cutting explicit violence. It is gruesome – but fun. 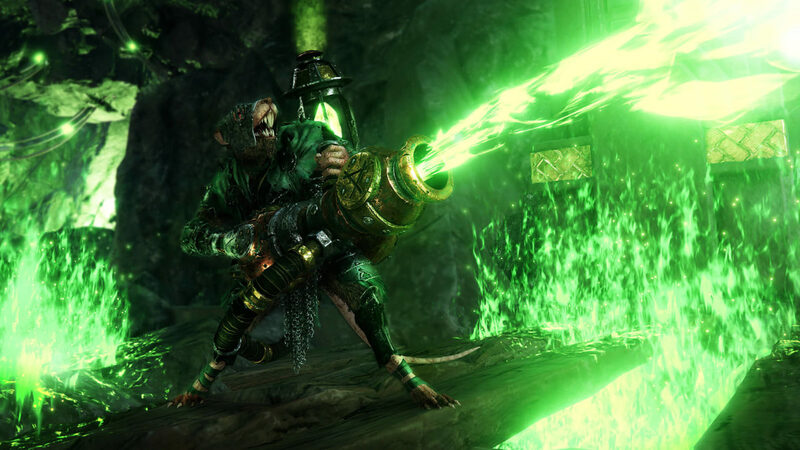 Vermintide features a first-person action (mostly melee) run and gun gameplay with absurdly large waves of enemies and interesting minibosses with unique abilities. It pretty much uses the same mechanics as Valve’s Left 4 Dead. To the point where it feels like a rip-off with a few brand new additions and a very different theme. It tells a decent enough story (unlike L4D) that has beautiful, although gruesome scenery, great heroes, great villains, and enough depth to keep you entertained for days – yet still very challenging on each playthrough. They also make you stand on your toes in each run – you never really know what to expect next. Sudden hordes of enemies and sneaky minions with special abilities tend to often show up uninvited. The game isn’t perfect – but the pace at which you need to run, fight and focus on defending your party from the enemies that are coming from all sides really gets your adrenaline pumping. Surviving large *MASSIVE* waves of enemies by coordinating effective positioning with your friends is plain and simple fun. It lacks a bit of the sophistication from some of the maps from its predecessor. It could also feature a slightly more intelligent approach to each map. Instead, it often drives you into a brainless killing spree with no particular challenge other than positioning and speed. This isn’t all that bad. 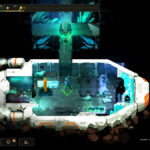 But requiring the player to think with additional puzzles or more complex bosses wouldn’t hurt either. Okay, okay – we’ll forgive Fatshark, Warhammer: Vermintide‘s developer, for copying many of the game mechanics from Left 4 Dead since they were indeed able to deliver a great quality game at a very reasonable price (now at a discount!). 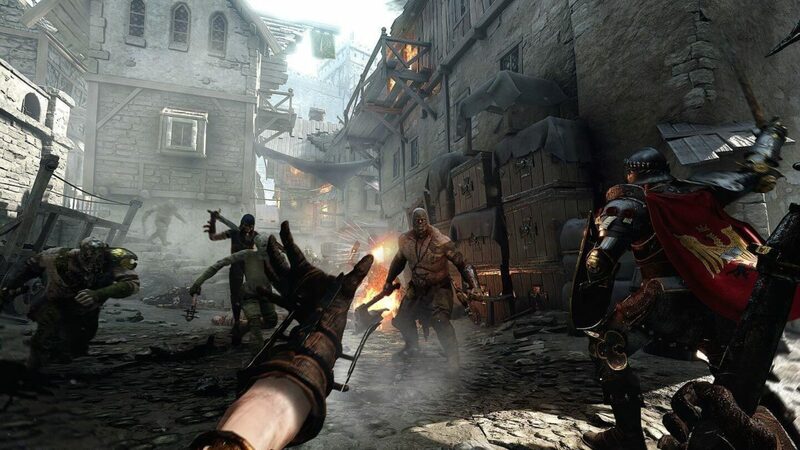 The fact that each player uses a different class with its own progression, set of weapons, abilities and talents increases Vermintide’s replayability value and sets it apart from Left 4 Dead. Even if the games are set apart by a small number of small changes, the truth is that they do matter. When you consider that the last L4D iteration was released 8 years ago, you realize it created a void in a very specific game style. Don’t get me wrong here: I’ve enjoyed Left 4 Dead 1 & 2 quite a lot. But I had major issues with some of its gameplay choices. One of them relates to Source, the game engine that Valve created and uses for most of their games. Portal, Team Fortress and Left 4 Dead are some of the best cleverly built games I have ever played – yet their character movement precision, speed, and hitbox leaves much to be desired. It all comes down to the game engine Valve uses and how they set it to have character movement feel pretty much the same in every game. 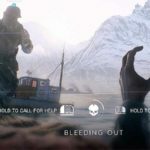 Considering Fatshark’s success with both Vermintide 1 and Vermintide 2, I really think Valve will have to think twice on their own gameplay mechanics before deciding to go ahead and make Left 4 Dead 3 (if that ever happens!). 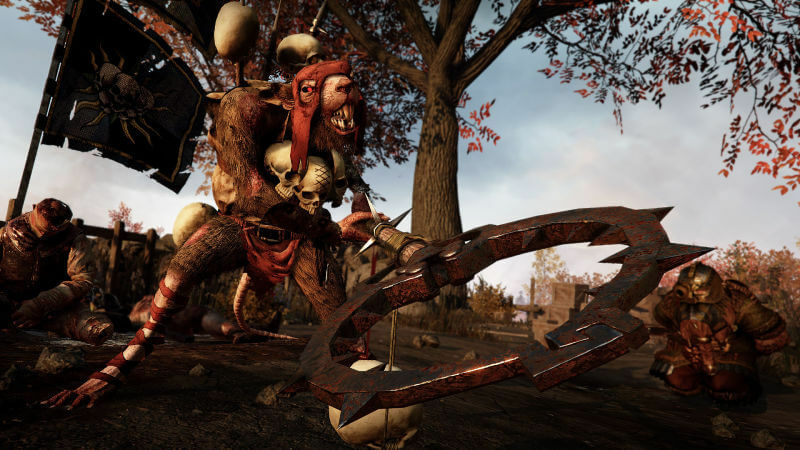 Valve would still sell more copies due to franchise value – but Vermintide (and Dead Island!) has raised the bar and players will now expect more from any upcoming Left 4 Dead iteration. The truth is that I’ve been enjoying this game quite a lot with my online friends and I hope to keep playing with them over the next few months. 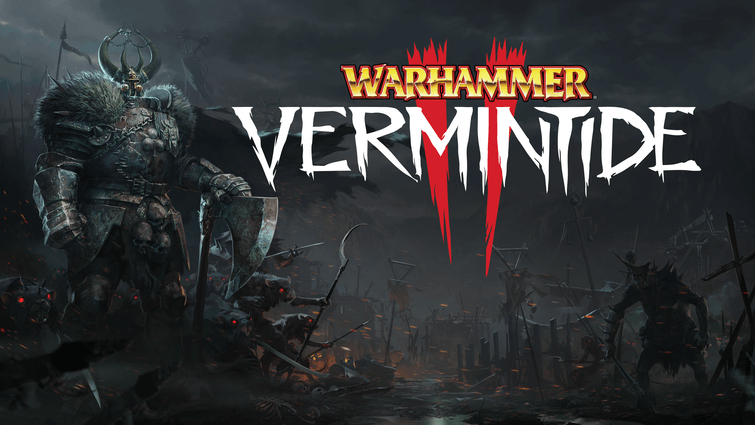 A great (and cheap) co-op game with an astounding fun factor, amazing graphics, character progression and great replayability grant Warhammer: Vermintide 2 a solid 5/5 pops. But… was this the best Co-op game of 2018? PC Gamer thinks so – what do YOU think? Make sure you check out Part 2 of the best co-op games of the year 2018! 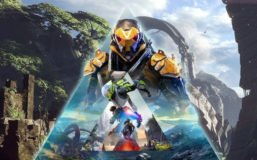 Most anticipated games of 2019 – also to be published later this week! 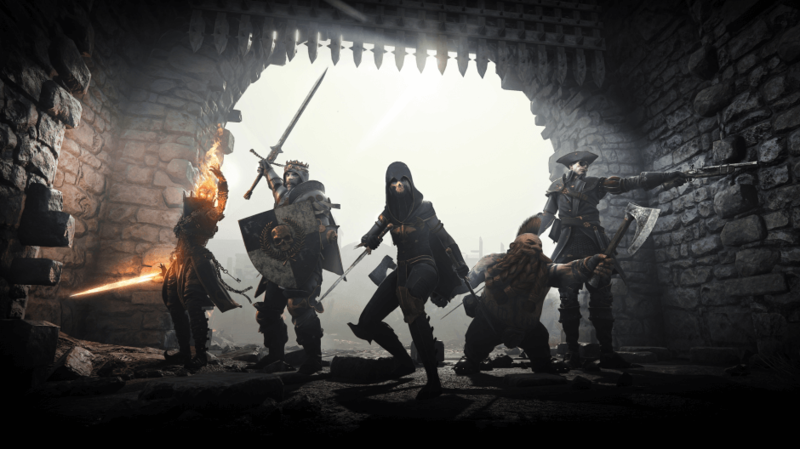 Here’s a referral link to get Warhammer: Vermintide 2 at a discounted price! If you’ve been hiding under a rock for the past 8 years and would instead like to try out Left 4 Dead 2 for the first time, make sure you grab it quickly as it is on sale for just 1.63€ on Steam for a limited time. If I managed to spark your interest in Gwent: The Witcher Card Game or Gwent: Thronebreaker, grab them here! I’ll see you in game-game! 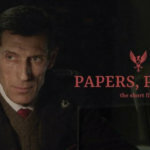 Papers, Please: The short ...Film? 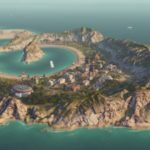 Tropico 6 - Guess Who's Back!